Fermented black beans are used predominately in Asian cooking. They are made by fermenting black soy beans with salt and sometimes ginger. They are most commonly used in sauces or for steaming meat dishes. 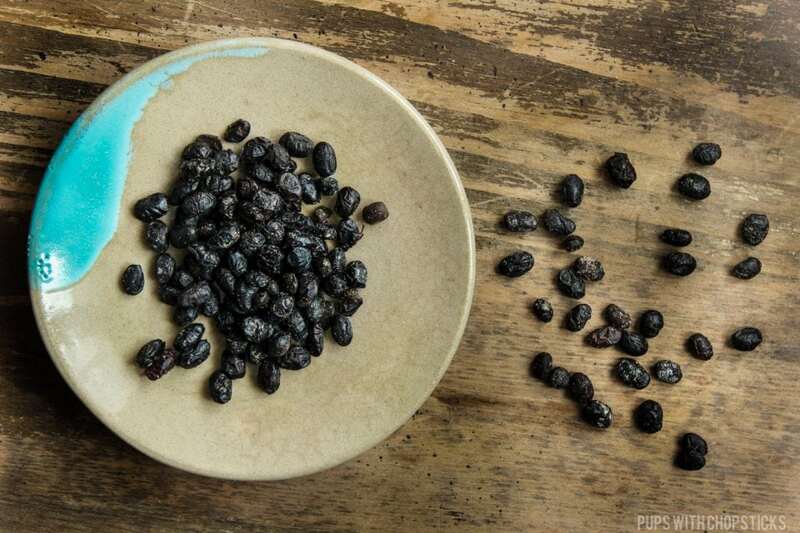 Fermented black beans are usually used in sauces, or steamed and braised dishes. To bring out the flavours a bit more, it can be lightly chopped or slightly smushed with the side of your knife. They can also be used with fish but very sparingly since it has a very strong flavour which can overwhelm a dish. This stuff is pretty potent so a little goes a long long way and it is very easy to overpower a dish if you put too much of it in. You find these in Asian grocery stores in the aisles. Fermented black beans have a salty pungent flavour. They are usually very salty but a quick rinse under water is usually good practice. This gets rid of the excess saltiness and reconstitutes the beans. Slighty soft and wrinkly when raw but once used in cooking, the sauces and moisture almost always will reconstitute these back into plump beans. When they are reconstituted and used in cooking they are soft and barely noticeable, texture-wise. You can store these in your pantry if it is in an air tight container away from direct sunlight however we like to store these in the fridge to be safe. If you are storing them in the fridge, use a air tight container and it can pretty much last forever.